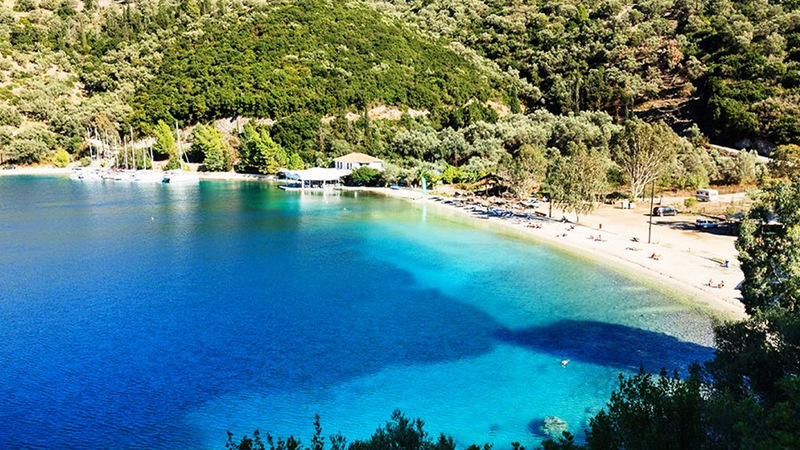 Discover stunning beaches and small lonely islands and enjoy the beauty of the Greek Sea! 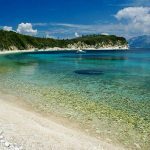 Meganisi (Greek: Μεγανήσι, literally «big island») is a Greek island and municipality immediately to the east-southeast of the island of Lefkada. The municipality includes the offshore islands of Skorpios (pop. 2 persons) and Sparti. The municipality has an area of 22.356 km2. Its total population was 1,041 at the 2011 census. The island has three villages: the central village of Katomeri (pop. 492) and the ports of Vathy (145) and Spartochori (453 inhabitants). There is also a harbour at Atheni Bay used mainly by fishing boats. Meganisi is connected with Lefkada by a car ferry service from Vathy and Spartochori. Meganisi has a school, a lyceum (middle school), an ATM, churches and a few squares (plateies). 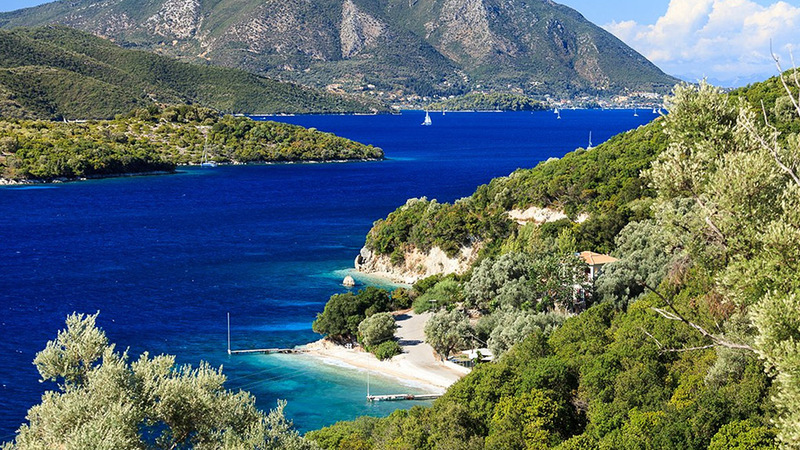 The island has no secondary school, so pupils attend the nearby school in Nydri, on Lefkada. Kálamos (Greek: Κάλαμος, known in antiquity as Καρνος – Karnos), is a mountainous island and a former community in the Ionian Islands, Greece. 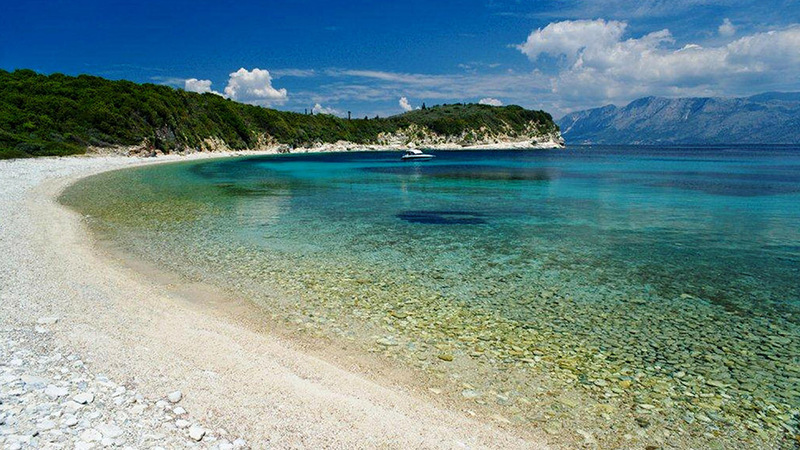 Since the 2011 local government reform it is part of the municipality Lefkada, of which it is a municipal unit. 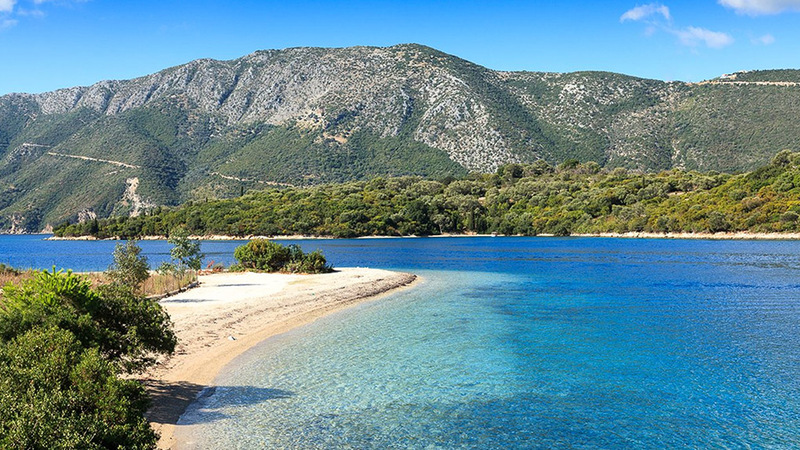 It lies east of Lefkada, near the Greek mainland. It has an overwintering population of around 500 people, which is swelled substantially in the summer by tourists. The name Kalamos means reed in Greek. Its population was 496 at the 2011 census. The land area is 24.964 km2 (9.639 sq mi), and its highest point is 754 m (2,474 ft) above sea level. The main settlement on the island is the port town of Kálamos (pop. 454), on the east coast of the island. From here a regular ferry service connects the island to Mytikas on the mainland. Episkopi (pop. 42) is the only other inhabited village on the island. The village of Kefali, also known by its Venetian name Porto Leone was abandoned following the 1953 Ionian earthquake, which destroyed the water supply, but its church is still in use. In the early 1990s, the water system was rebuilt and now every household has running water. As well, in recent years, all the foot paths that were once dirt have been upgraded to stone or pavement. 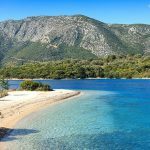 Kalamos, once a remote island without electricity or a proper water system, now has all the conveniences of the mainland. 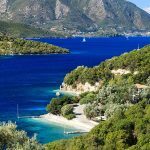 The nearest lyceum (middle school) and gymnasium (secondary school) are in Aetolia-Acarnania on the mainland but most of its students attend school in Nydri on Lefkada. 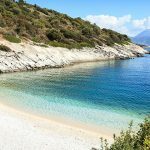 Kastos (Greek: Καστός) is a Greek island and a former community east of the island of Lefkada, Ionian Islands, Greece. 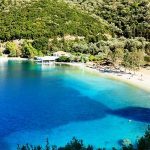 Since the 2011 local government reform it is part of the municipality Lefkada, of which it is a municipal unit.Until 1974, when it became part of the Lefkada Prefecture, the island was administered under the Cephalonia Prefecture (Ithaca province). 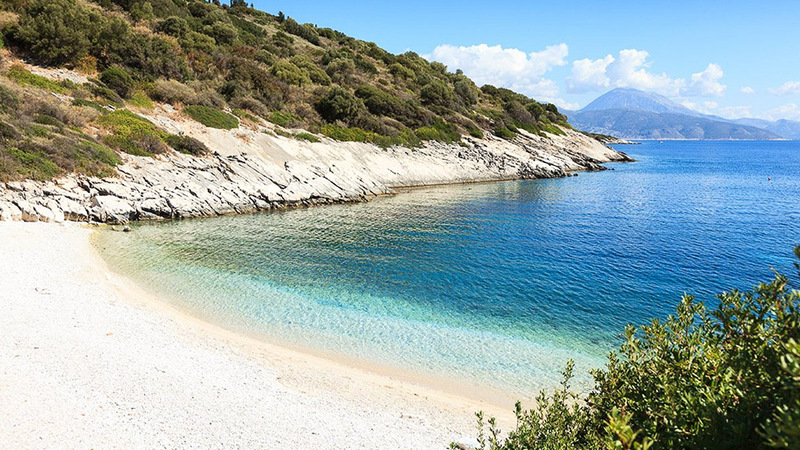 The nearest island is Kalamos, with a deep channel between them; the mainland is approximately 5 kilometres (3 miles) to the northeast in Aetolia-Acarnania. The island has a range of facilities such as three bars, four restaurants and a small gift shop. All facilities are open during the summer, however most close during the winter months of the island. The island has two harbours for boat mooring, one located on the front of the island, the other located at the back.